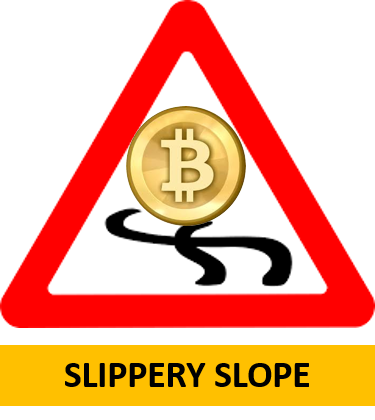 Is Bitcoin on a slipperly slope? Today, the price of Bitcoin has jumped to $ 11,823, 14.47% increase in a day. Yesterday morning, the price went below the psychological $10k mark. The markets reacted to the news coming out of South Korea that their Government may ban cryptocurrency trading. China is also looking into fake blockchain platforms. How do people participate in Bitcoin marketplace? It is not easy to wrap your head around all the aspects of Bitcoin trading, however, it is not much different from a product like Gold. The simplest option is to buy & sell gold. When the price of gold is low, people buy in anticipation that the value will increase or to store wealth. People are buying & selling Bitcoins for the same purposes. The other option is to get into mining or production of gold, similarly, companies create Bitcoins or other cryptocurrencies. The third option is to create a marketplace or an exchange to deal with the gold (Bitcoin) and earn fees without taking any risk in the underlying asset. As Bitcoin becomes more and more acceptable, it may be used as the medium of exchange just as dollars, but there is a long way to go. Japanese biggest bank and 4th largest in the world, Mitsubishi UFJ Financial Group (MUFG) is planning to launch cryptocurrency exchange. Why is it important? Japan accounts for 40% of cryptocurrency trade per some estimates. MUFG is launching exchange not for Bitcoin but for their cryptocurrency MUFG Coin. It’s also offering trust services to individuals to monitor transactions in their account and alert in the case out of ordinary account activities occur. MUFG, however, would not protect an investor against volatility in the cryptocurrencies. Various US states, 11 out of 50 in the US are considering legislation related to the blockchain, the underlying technology for Bitcoin. Nebraska, Florida, and Tennessee are the latest entrants to the growing list. Arizona, Nevada, and Vermont adopted a blockchain law in 2017. Other states who are working on a bill or already passed a legislation are Maine, Hawaii, Illinois, North Dakota and California. As per Economic Research team Federal Reserve at St Louis, Bitcoin may have many interesting usages and it can become an important asset class by itself. Regulators across the world are concerned as there is no centralized authority to control the Bitcoin and other cryptocurrencies. The volume and valuation have increased considerably over last one year. Significant movement in the cryptocurrency may spillover the Wall Street and the Main Street. Mostly all the players in the cryptocurrency food chain are private players. Everyone seems to have a vested interest in the increase in price and it’s hard to know if the views expressed are driven by fundamentals or personal interest. The price of Bitcoin in South Korea trades at 30% above the other markets. There is an elevated level of interest among the younger technology-savvy population creating a pent-up demand for Bitcoin and other cryptocurrencies. In order to control the activity, South Korea may ban the trading of cryptocurrencies. China is investigating 3000 plus fake blockchain exchanges. In any market, there are both good and bad actors. Time will only tell how widespread is the problem. Are 3000 fake exchanges just the tip of the iceberg? Significant activities and divergent views about Bitcoin confuses an average investor. The problem is more stressful if your hard earned money is invested in a new asset class that changes faster than your pulse. Be aware of the volatility, if you are thinking to move your retirement money into Bitcoin. 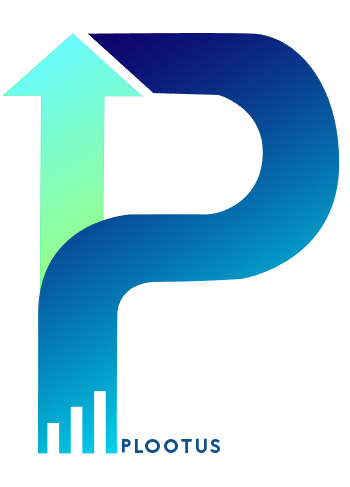 http://www.Plootus.com: 10 minutes could add 50 thousand dollars or more to your retirement account! Bitcoin: Should you invest your retirement money in Bitcoins?